Its no secret The Sun Will Set happens to be my favorite Tic Tic Boom song. It’s just a feel good song that reminds me of California summers and just being carefree. Whenever I hear it I feel the need to turn up loud and just sing. This song alone always reminds me why I believe Tic Tic Boom is one of the best bands in LA! Very happy TTB will celebrate the official release of their new EP ‘It’s the Heart That’s a Fool’ at the Silverlake Lounge. If you haven’t had a chance to check out this awesome duo then tonight should be the night! Today, Tic Tic Boom! released a new video for their song ‘How It Ends’, directed by lead singer Leilani Francisco. If you follow the band on Instagram, Twitter and/or Facebook the last few weeks, you would have seen them leaving hints about the video shoot. Its a great video and I simply was not prepared for the Romeo + Juliet twist I have to admit I was a blubbering fool by the end of this video. This video makes me EXCITED for the things to come with this band! Save the day for Tic Tic Boom’s EP release, ‘It’s The Heart That’s a Fool’ on October 8th!! I’ve been so out of it lately that nearly missed the new Tic Tic Boom! video for ‘For Feeling’. I like the trying to escape a nightmare aspect. And I really like this song, I would always listen and irritate my co-workers cause it was so catchy. Plus when you want to take a quick walk around Downtown LA during your lunch hour – this is a great tune to have on your iPod. 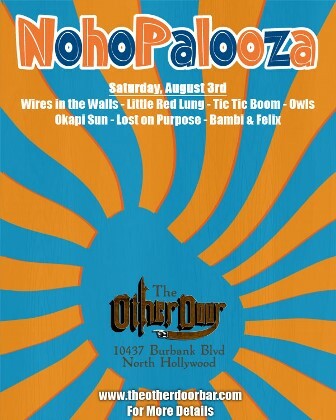 That’s right I said FREE SHOW with one of my favorite LA band’s Tic Tic Boom! If you haven’t had a chance to check them out live I suggest you come down to the Satellite in Silverlake on April 14th! Not only do you get Tic Tic Boom! you also get Young Empress and Glow Marrow. Nothing gets better than FREE!!! Since you save money on the door fee you can buy an extra beer. Summer in SoCal is kicking off with the Eat/See/Hear event in Pasadena. 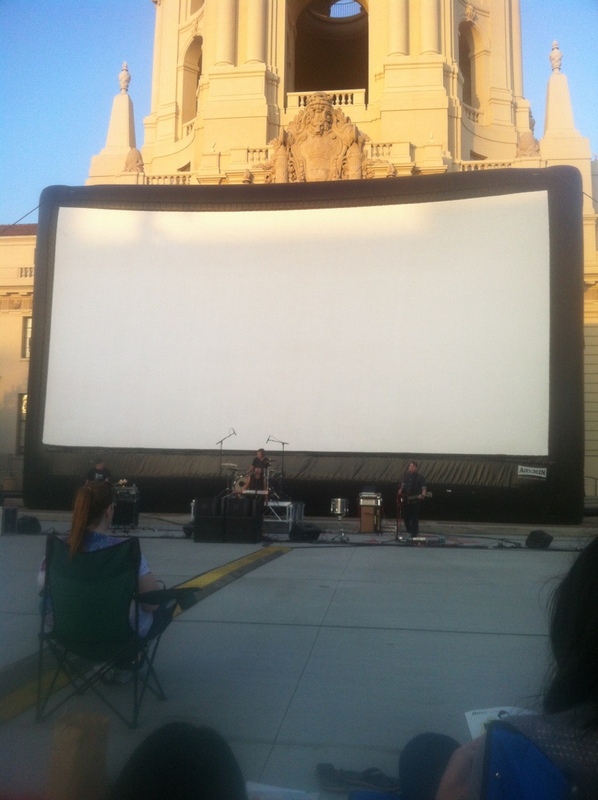 Several food trucks are parked near City Hall, music is from one of my favorite LA band’s Tic Tic Boom and then watch Adam Sandler’s hilarious comedy ‘The Wedding Singer’! Photo was taken while Tic Tic Boom was performing sadly left my camera at home so iPhone photos will have to do!